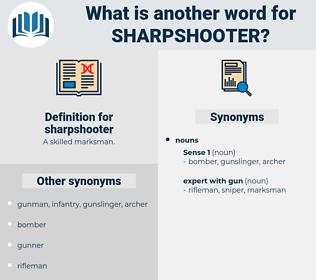 What is another word for sharpshooter? 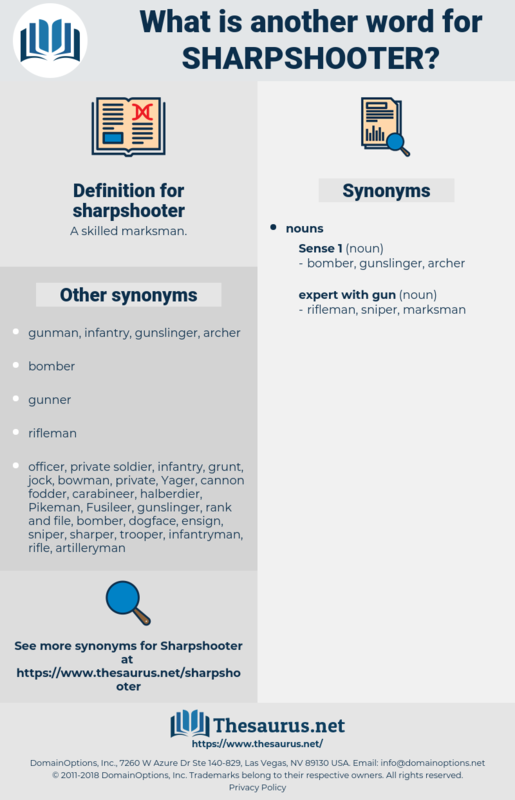 rifleman, gunfighter, gunner, gunman, hitter. Meanwhile the Tyrolese sharpshooter on the height above had reloaded his rifle and shot another soldier.
" I have not snatched it away," said the other, " a sharpshooter must have shot it away from thee." service tree, surface-to-air, service door.